CLATUU 360° FREEZE is a cutting-edge solution to help you eliminate stubborn fat. The technologically advanced system allows you to achieve significant results. 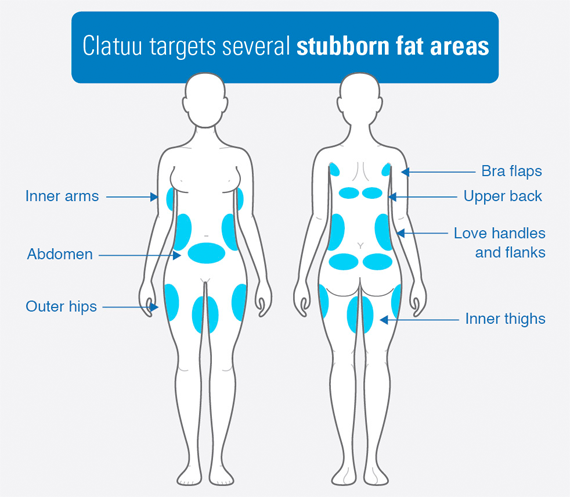 CLATUU has the world’s first patented 360° cooling applicators for faster and more effective fat reduction. Its Dual Handpiece system is far more effective than Single Handpiece devices which can treat only one side at a time. The Dual Handpiece system is also more efficient, needing a shorter treatment time compared to the Single Handpiece system. 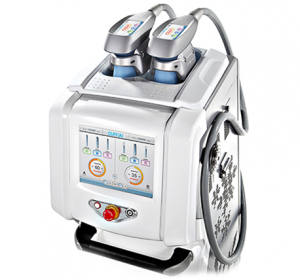 CLATUU 360° FREEZE destroys fat cells by using a precisely controlled cooling technology. Don’t worry. It does not affect normal cells. The CLATUU system will gently draw fatty areas into the patented 360° applicators, then utilise an advanced cooling technology called Cryolipolysis to cool the targeted area to a low temperature. The process will freeze fats at -9 degrees Celsius for 1 hour per session; until the body’s natural ‘apoptosis’ processes are triggered. The machine’s sensors will maintain a constant temperature to prevent unwanted side effects. During the treatment, CLATUU’s all-in-one Matrix Gel Pad with specially formulated gel and two protective liners will ensure maximum protection for the skin. After the treatment, the body will naturally collect and remove the damaged fat cells. As a result, the fat deposits will shrink noticeably in size, but the skin and the surrounding tissue will not be negatively affected. The body will have a natural-looking and contoured appearance without having undergone any surgery. Who is a Suitable Candidate for CLATUU? CLATUU is suitable for candidates with a Body Mass Index (BMI) that is slightly above ideal, because of stubborn fat deposits that will not disappear even with regular exercise and diet. The unwanted fat deposits might be in the form of fat bulges such as muffin tops, love handles, fat deposits on the abdomen, upper arms, pack, and flanks. CLATUU is suitable for both men and women. However, please note that CLATUU Freezing Fat Away is not a weight loss treatment. Hence, it does not treat obesity. It also does not replace the benefits of proper diet and exercise. To increase the benefits of CLATUU, patients should observe a healthy diet and exercise programme after their treatments. Make an appointment with us about Premier Clinic’s weight loss program! 2 Inches Tummy Fat Lost in 1.5 months!